Indian carmaker Tata Motors on Wednesday reported a staggering 50 percent fall in quarterly net profit, blaming a huge one-off investment and a slowdown in sales. Consolidated net profit for the three months ending March 31 fell to 21.25 billion rupees ($310.53 million) from 43.36 billion rupees a year earlier, the Mumbai-based company said. Analysts had predicted that Tata Motors would record a net profit of $550 million but they were unaware of a multi-billion-dollar investment which the firm said was responsible for the profits slump. 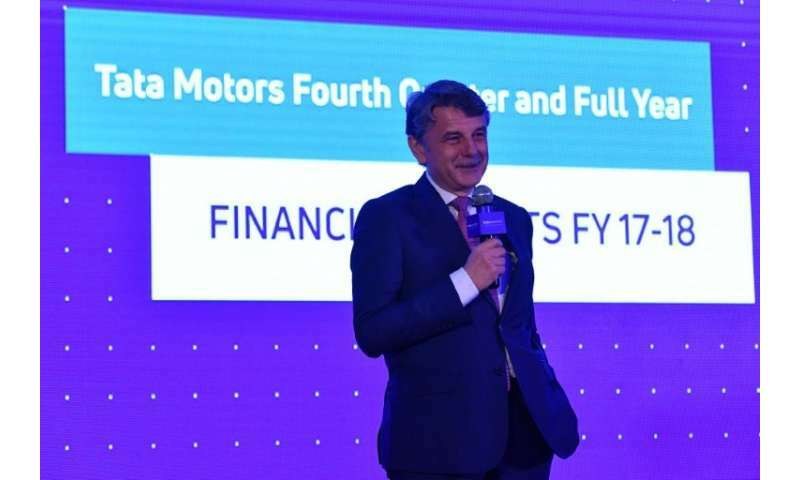 "...FY18 has been a hallmark year for Tata Motors with a record-breaking sales performance, increase in market share and the standalone business turning profitable before one-time exceptional charges," CEO Guenter Butschek said in a statement. Tata Motors said it had made a $4.5 billion investment in developing unspecified technology for its flagship product Jaguar Land Rover. Consolidated revenue for the fourth quarter rose to 912.79 billion rupees from 787.47 billion rupees a year earlier, the company added. JLR sales soared 19.9 percent in China in the fourth quarter compared to the same period the previous year, but total worldwide sales were offset by falling demand in the key markets of Europe and Britain. Sales of the luxury car plummeted more than 13 percent in Britain over the fiscal year, the company said, due to uncertainty about possible plans to increase taxes on diesel models.